Google Docs is more than just a free word processing and sharing tool. It’s a powerful equalizer for advocacy and activism. Yes, you can create, share and edit documents in collaboration with others, but it’s Google Doc’s ability to reach a wide audience instantly that makes disseminating of information and mobilizing a cause easier than ever before. For example, the now hugely visited document entitled “False, Misleading, Clickbait-y, and/or Satirical ‘News’ Sources” (nicknamed the Fake News Bible) was created by a college professor during the last US election and made available on Google Docs to help readers verify which information circulating in the media was factual and which was not. Google Docs eliminates the higher monetary costs historically associated with organizing and processing, freeing up valuable time to focus on action, policies and instantaneous information-sharing anytime, anywhere in the world. In the education sector, Google Docs can be used to compile resources or contacts as well as analysis on the policies and funding changes that impact our work or require a co-ordinated response. 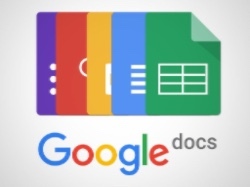 Google Docs is free to use, and no account is needed to access or comment on an existing document. Documents can be distributed via social media or email and embedded into a website.